Being in the software industry as a part of quality assurance, you are always expected to carry a quality stick to ensure quality is maintained to the ‘T’. We are always asked to put ourselves into the shoes of the customer and ensure the product/projects meet its expectation with the highest quality achieved. But the actual irony lies where all our quality metrics boils down to quantitative numbers and terms like bugs logged, a number of test cases written, a number of test cases executed, time spent on testing, URLs tested, browsers checked for cross browser testing, defect leakage etc. We have designed our working system where we are asked to placed quality over quantity but eventually are analyzed on the quantitative approach. I believe focusing on quantitative approach for testing is unfair to your software testing team and even if we follow the quantitative approach there has to be a systematic way to judge the individual effort put up on the basis of our software testing metrics. We need to question ourselves on how to justify our testing approach where every path is been quantitatively visualized? This is one of the reasons why the quality of testing is been reducing drastically. A simple example could be when you measure your team efficiency or efficacy with the number of bugs logged. The very first approach your every team member would be taking, is to find as many bugs as they can anywhere in the application. I know many would be arguing stating, how does it matter until we are finding bugs in the web application. But eventually, this is where the quality of testing comes in place. Looking at the agile software development approach that we are working on these days, with shrinking cycles and testing been pushed to the end of each cycle, all we are left with is the seemingly high pressure to test applications in the shortest span available. We perform all those risk-based testing and smoke testing for each and every release to ensure application provides a seamless experience to its end users. Driving the team with this numbering system won’t help in such crucial situations. It’s not the number that counts but the essence of each bug that can cause the level of disruption if let go off to the customer. So even though we may raise those ‘x ‘number of bugs into our bucket, we may have tremendously gone wrong when delivering a product in terms of quality, because of the mindset approach we have laid down while hunting down our application. This is one of the biggest reasons to consider while defining our software testing metrics where quality should outnumber quantity anytime. Today the approach to maintaining quality is completely different and speaks only in terms of stakeholder’s satisfaction. Quality is completely customer driven. Quality equals profits as per stakeholders. Higher the quality higher is the level of predictability for the software, which means one can take a risk in terms of pricing play in the market. The stakeholder would know where he stands in terms of stability of the product and how in-depth he can push the product in the market. But this gets lost completely due to the way we start working as we kick-start the project, which is collecting requirements, defining the scope of testing, team coordination and allocation, testing activities etc, we tend to forget our real mission as testers which is ‘the primary objective of building the project’. This is something that is the sole reason behind making the project that helps solve problems of end users. However, the important question should be, that are we testing to ensure those problems are resolved? If not, do we provide frequent feedbacks to our stakeholders to help them leverage better insight into the project. It’s important to keep questioning ourselves ‘Is this what the customer expect?’ or ‘Is there a better way to resolve the same problem’. Just taking requirements from the client and building them does not make our job fulfilled. As we start working on the project we need to sit with our client to understand what are their expectations from the project and how do they visualize the quality aspect of it. For example, if your client is more focused on the branding aspect than even a pixelated logo issue would be high severity for you, if not for the developer. If he is aiming to build a financial application, then maybe UI and UX may be a lesser concern for him as compared to the security of his user’s data. Here ‘objective’ is the key. This is something we need to entrails in ourselves as testers. This should be your team OKR(Objectives and Key results) rather than those number driven metrics. OKR is a popular leadership process which helps individuals, teams and organization work together to fulfil their goals in one unified direction. Setup objectives across teams and organization. Such OKRs helps to focus on productivity and drives the company culture. Quality Is Subjective & May Change From Customer to Customer. It’s important how we lay down our testing efforts in alignment with these objectives. In fact, this helps us drive our decision of what to fix and what not to. Hence it all comes down to the bottom line, the clearer picture you have for your stakeholder views and mission of their project, the better it will be to build and prioritize your testing efforts. Analyzing your risk by questioning yourself ‘what your customer wants’ will help you drive quality. 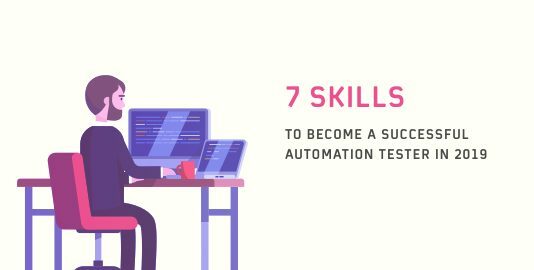 This may sound more of a business analyst roles and responsibilities but let’s not forget we as testers need to have this elementary skill too. Our testing strategy is driven from these analyses itself. 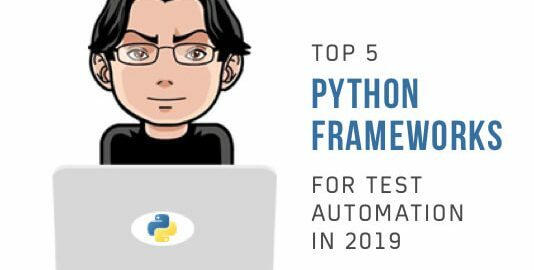 So let’s focus on writing a sufficient number of test cases that drives your customer and project objectives rather than focusing on writing a large number of test cases with no major crux involved in them. Highlighting the high severity issues rather than just filling your bucket with those umpteen number of minor bugs. Give precedence to the risk that can bring down your customer and not your evaluation matrix. Quality was and will be the indisputable winner. Quantifying your testing process won’t suffice in anyways but of course, the question would remain unanswered to all those organizations who somewhere down the line needs a measurement ‘how do we measure quality then?’ The main intent of having those metrics was to focus on how to bring those numbers up/down or may be at the same level to achieve quality but as humans are humans, we get into this number business more seriously and drives them, because they have been marked as our growth evaluation. Hence, it is important to remember, what drives us as testers and how to build our evaluation matrix. If you are concerned about addressing browser compatibility testing then here is an article which would help you evaluate cross browser compatibility matrix for your testing workflow. 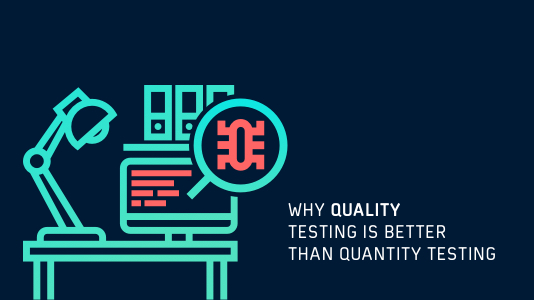 So we know by far, that quality testing is better than quantity testing. The way to make sure you step in the right direction is by recruiting the right software testers in your team and to imbibe the concept quality of quality testing and not quantity testing, in the software testing team that you already have. Been in the industry for seven years now, and after mentoring so many budding testing professionals, my whole idea on measuring individuals on the quality basis has always derived from their ability to analyze the business requirements, break them down into the smaller level of chunks and ensure those are built and worked as they are intended to. It’s always been the intent of the tester that mattered to me rather than the numbers he/she gives me in terms of test cases or bugs. I have always preferred people who ask questions and understand the meaning of priority rather than people who ‘just test’. The most common behaviour I have observed in so many testers is they start writing test cases as soon as the story/requirement gets allocated to them. They tend to forget the basic foundation step, which is to sit and analyze the requirements mentioned in the story. They forget to question themselves, by putting on the shoes of an end-user and realizing the workflows end-users may tend to use. Figure out the impacted areas and see through all the validation that user may validate through during the flow. I always insist on making a checklist before I begin writing effective test cases, this helps in proper test coverage. Another important aspect is backtracking, be it the requirements or the bug occurred. 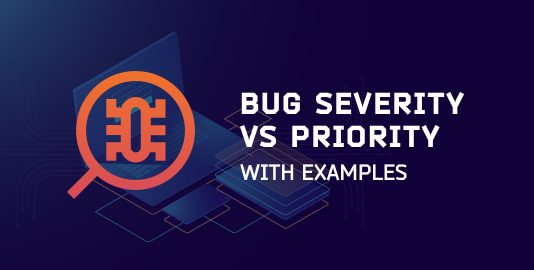 This helps to ensure requirements that are not left out and one is able to find the root cause of the bug, which helps in reducing the occurrence of such bugs. Good bug reporting and positive attitude help in making of a good tester too. Understanding the priorities and severity business. Ability to dig into the system and think through. Following the quality processes and if required bring corrective measures for further improvements. A quick and constant learner. Co-operative and work in unison with other team members. Performing testing based on assumptions. Fear of rejection of work or thoughts. Conduct seminars on a regular basis to help them become proficient in writing bug report. Also, relay them how they could do better testing without falling into pre-assumptions. In order to enhance poor communication skills, I insist them to loop and an internal call with developers. This helps to boost their confidence and understanding regarding the inbound and outbound process flow of the web application. Aiding quality for continuous testing and software testing metrics. Fear of rejection always victimize freshers or young software testers. This can be easily dealt with cooperative management. 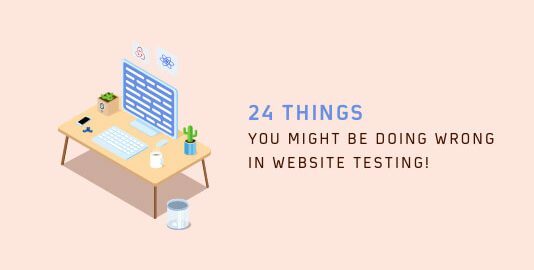 I make sure to never criticise them on their mistakes, I rather provide them a suggestion on how they could do better testing of the web application or product. This way I make sure to get rid of any obstacle that holds my software testers from finding bugs. In order to keep the spirits high I make sure to conduct award/gift ceremonies on either monthly or quarterly basis for recognizing the phenomenal effort. Doing so, I have testers become more competent among each other, in a healthy manner of course. I believe Shift-left testing helps to boost the product quality. Incorporating Shift-left testing with continuous testing could do wonders in terms of time, resources and money. I encourage young software testers to be a part of Shift-left testing too. This helps them to understand test scenarios right from the client requirement gathering phase. Good understanding of SRS document helps them to stick to quality in terms of software testing metrics. I have seen it happen many a time, that the software testers would focus too much on raising their bug count, and as a result, they would end up drifting away from the objective of the functionality they were meant to test. I am sure, you must have experienced the same too! Think of it as setting up the right OKRs(Objective Key & Results) for the test department. If you are a QA lead or manager, responsible for aligning the testing team in the release management then it becomes very critical to set up the right goals for your test department. With those clearly defined OKRs we can help deliver a quality product as a team rather than comparing and analyzing the valueless numbers(metrics) across team members. Having said so, collecting those numbers to improve your quality objective should be the only essence. Believe it or not, numbers drive the psychology of people, hence it’s important how we frame and utilize them. So let’s not push quantity to drive quality. Quality should be singly driven and should deem to be the one and only major aspect of achieving customer satisfaction. Sadhvi Singh is a QA Manager. In 7 years of her professional journey, she has worked on multiple domains and testing techniques like Automation testing, Database testing, API testing, Manual testing, and Security testing. With multiple tools exposure added to her experience, she has skilled herself further through her two major accolades at International level through ISTQB with foundation and advanced levels. She has a technical blog named as qavibes.blogspot.com where she caters to all the challenges offered in the day to day journey of the quality assurance aspirants. In her spare time, she also works as a technical trainer and mentor to many budding QA professionals.